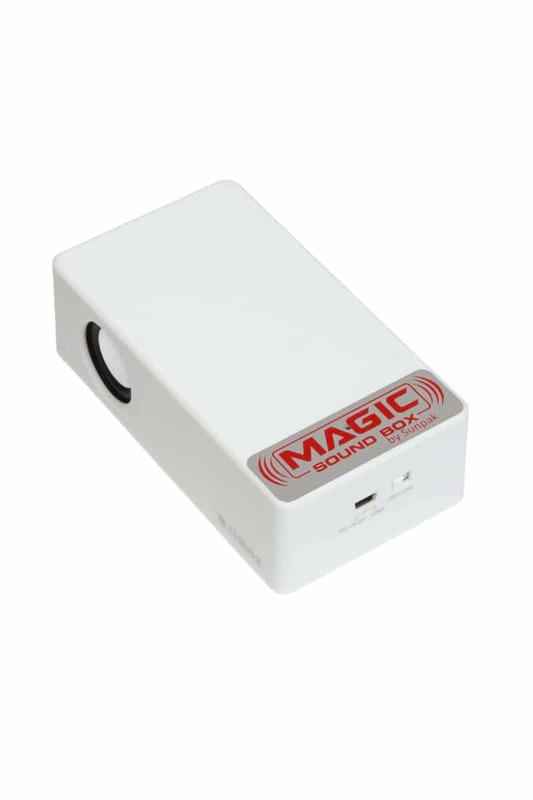 The Sunpak Magic Sound Box is a revolutionary new product that enhances your listening experience. 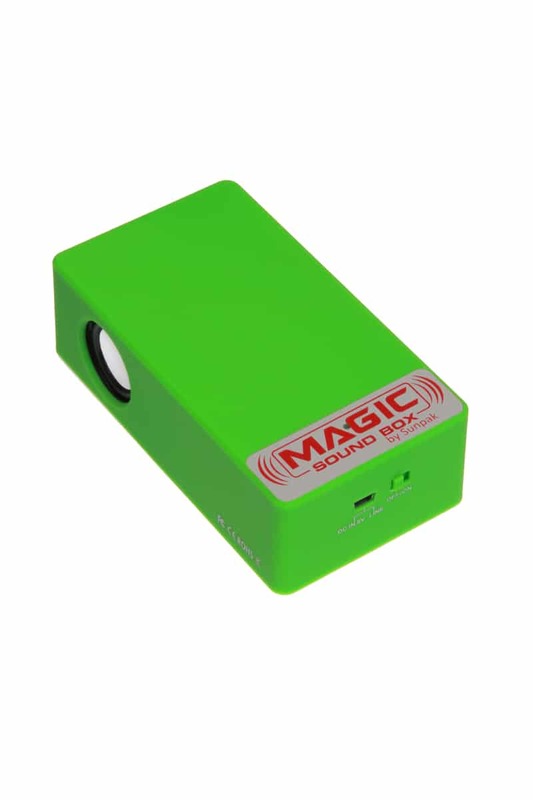 The unit boosts the sound from a smartphone just by placing the phone on top of the unit. 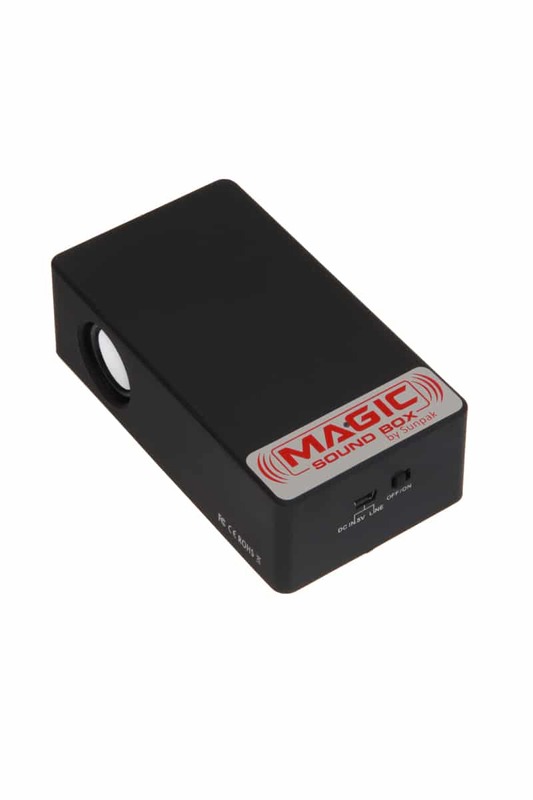 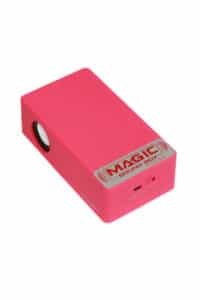 The induction coils inside the Magic Sound Box amplify the sound and with the 2 Watt speakers, you can greatly boost the sound level without wires, Bluetooth or syncing. The Magic Sound Box is great for an office setting where you need to have a conference call or is great for dorm or a party setting where you want to have others listen to music from your phone. 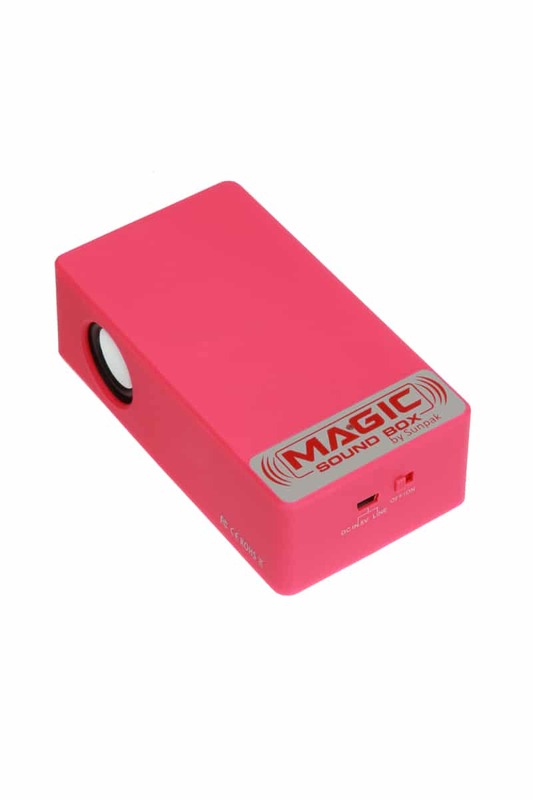 It works with most smartphones or phablets with external speakers! Does not require any Bluetooth or syncing; includes a USB cable to connect to smartphones, phablets, laptops or any other device via the earphone jack; powerful 2 Watt speakers deliver incredible sound.